Analog sticks be damned, Valve’s offering eschews the modern method of directional input and instead makes the interesting (futuristic?) move to dual trackpads. Adopting clickability of current-gen analogs and boasting high resolution comparable to a desktop mouse, Valve confides that the controller will work with all past, present, and future Steam games. Though it’s purported that precision will be improved with the new spin on controllers, I’d be interested to see the learning curve required to adapt to the stickless device. Acknowledging the “light touch” nature of trackpads as opposed to thumbsticks, Valve concedes that the tangible experience will not be similar with the new controller. The company endeavored to make a more physical experience by tweaking the weighted-single-axis haptic feedback formula to include “dual linear resonant actuators…attached to each of the dual trackpads…allowing precise control over frequency, amplitude, and direction of movement.” It’s suggested that the system will be handy in “delivering in-game information about speed, boundaries, thresholds, textures, action confirmations, or any other events about which game designers want players to be aware,” while also coming with nifty perks such as being able to “play audio waveforms and function as speakers”. In accordance with controller couture, the Steam Controller will have a high-resolution screen in the center of the device that features sensitivity to clicking, swiping, scrolling, and radial input (which may encourage Bethesda to add even more radial menus). Valve also notes that the button can be touched to share its display over what is currently being played, therein canceling the otherwise pesky requirement of looking down at the controller and away from the game’s action. As you would expect with a controller, the device’s buttons have been “placed based on frequency of use, precision required and ergonomic comfort”. Eight of the sixteen buttons are purportedly reachable without removing the thumbs from the two giant circles they will call home. 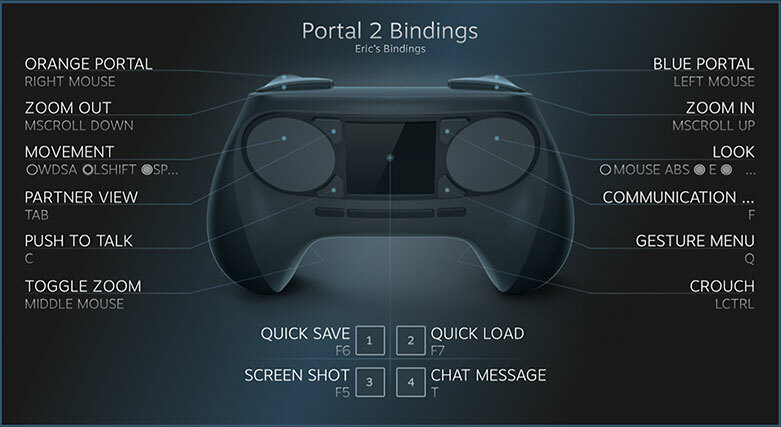 Valve claims that the software can accommodate for left- or right-handedness, configurations can be created and shared to better suit game bindings, and the included legacy mode will ensure compatibility with games that predate the Steam Controller. 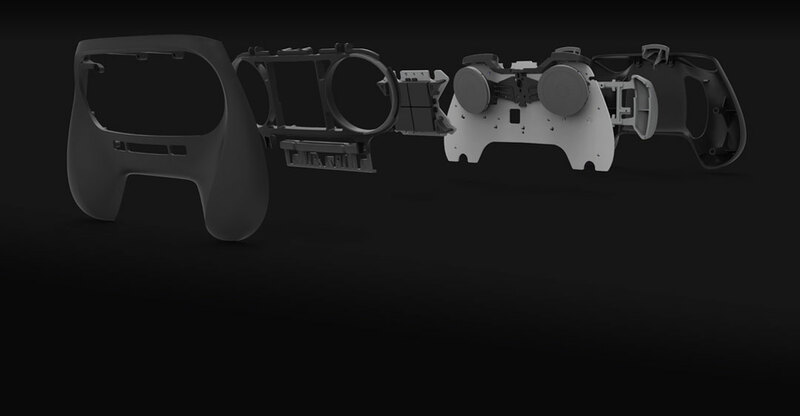 Valve reports that the Steam Controller “was designed from the ground up to be hackable,” and insists that they “plan to make tools available that will enable users to participate in all aspects of the experience, from industrial design to electrical engineering”. 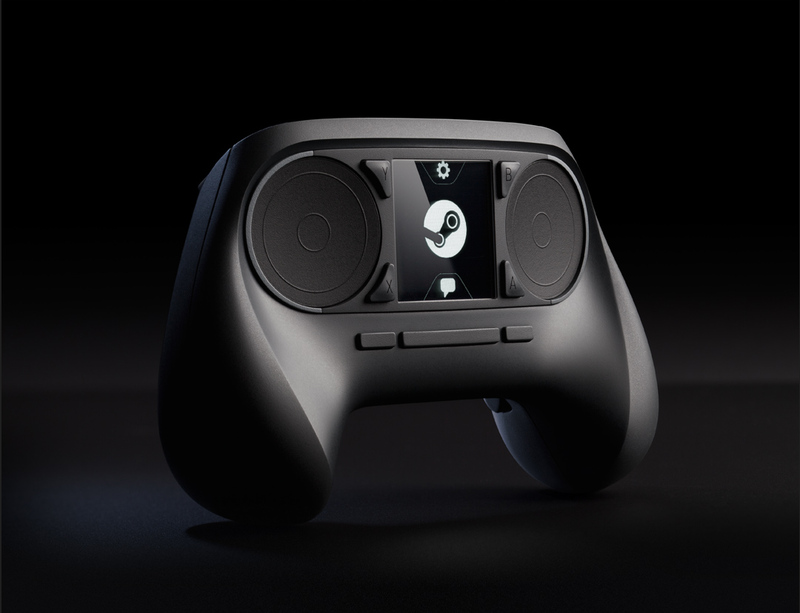 As with the Steam Machines, the Steam Controller is open to beta (by submitting to the same process), but the beta units will require a USB cable and bear four buttons instead of the touch screen. So, that’s Valve’s approach to reshaping your living room in 2014. Though many gamers hoped that the big reveals would include Half-Life news, the reveals of a free operating system, new hardware to run said OS, and an intriguing new game controller are sure to grab the attention of both PC and console gamers. What do you think of the Valve offerings?